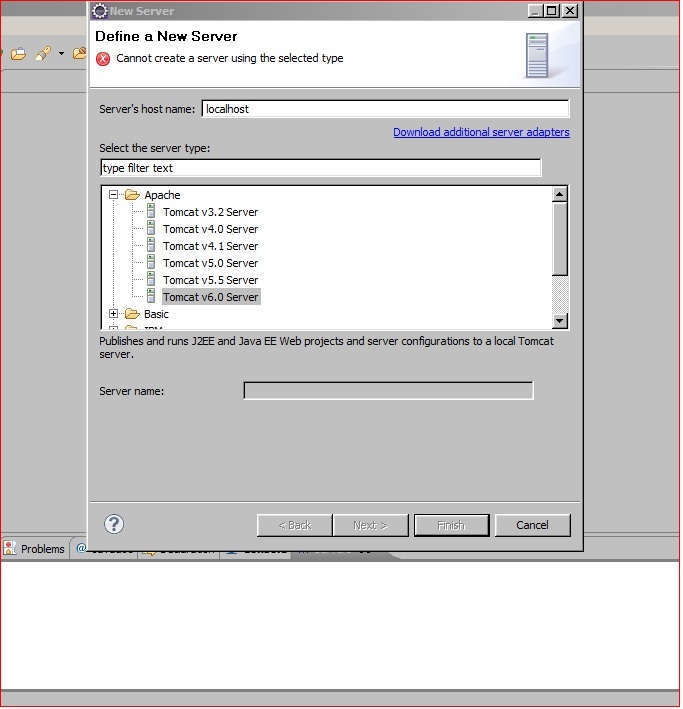 Issue : User goes to New -> Server -> Apache -> Tomcat v<version> Server ,in the console of eclipse to create a server instance in eclipse,but gets message "Cannot create a server using the selected type"
as shown in below screenshot ,so user could not proceed with server definition. 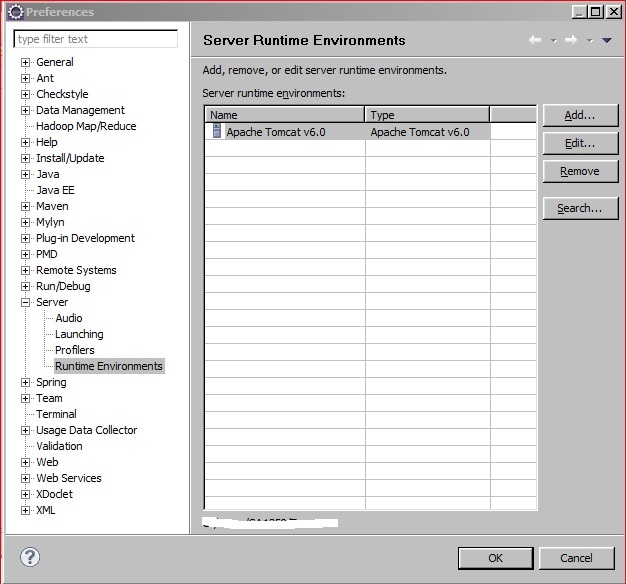 1) Go to Window–>Preferences–>Server–>Runtime Environments->Edit and correct path to the tomcat directory. 2) Go to your workspace folder.You can find path to your workspace by going to File-> Switch Workspace->Other. Share it people for whom you find this info useful.